Is the Prime Minister about to face a leadership challenge? Are further cabinet resignations imminent? Will Labour's poll bounce last? Max Liu discusses the latest UK politics odds. "On the Exchange, May is [2.72] to leave Downing Street this year, as rumours continue to swirl that she will soon face a vote of no confidence and possibly a leadership challenge." The requisite 48 letters challenging Theresa May's leadership have not been received yet, the Prime Minister said today. The PM ended an extraordinary week, which has seen government resignations in protest at her Brexit deal, by telling her MPs that topping is not in the country's interests. On the Exchange, May is [2.72] to leave Downing Street this year, as rumours continue to swirl that she will soon face a vote of no confidence and possibly a leadership challenge. Will May face a vote of no confidence? The official count, of MPs who have definitely put in letters of no confidence, is said to be at 25. Most commentators believe the number is nearer 40. What happens if May does face a vote of no confidence? Well, if only those 48 MPs who put in letters vote against May then she could win and even emerge strengthened. If more than 100 MPs vote against May, however, then her premiership could be fatally wounded. Dominic Raab, who resigned as Brexit secretary, said today that he would support the PM in a vote of no confidence. He refused, however, to rule out standing in a leadership election. Paul Krishnamurty has long advocated backing Raab to be next Tory leader and the former-Brexit secretary is currently [7.2] favourite to succeed May, followed by Sajid Javid [8.2] and Boris Johnson [8.2]. The odds on the UK leaving the EU by 29 March has drifted in the past few days, from around [1.6] to the current price of [1.83]. That's still a 55% chance, so the consensus is that Brexit will happen on time. 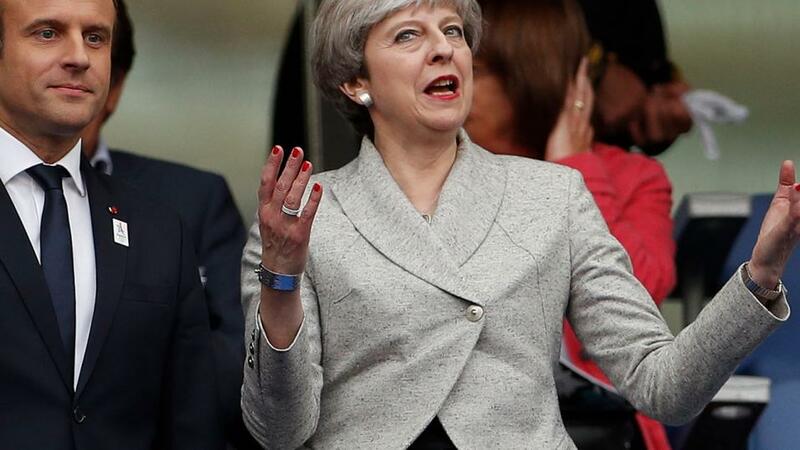 Bettors are less confident, however, that Britain will leave the EU with a deal - approved by the EU and the UK Parliament - and a no deal Brexit is 8/11 (58% chance) on the Sportsbook. German Chancellor Angela Merkel is arguably the most influential of the EU27 leaders and she says the Brexit deal is not up for renegotiation. Raab said today that the UK is being bullied by the EU. So May appears to be in an impossible position, with MPs saying the Brexit deal is unacceptable and EU leaders saying it's not up for renegotiation. Five cabinet ministers are urging May to renegotiate with Brussels and could resign if she fails to come back from this week's meeting with improved terms. Penny Mordaunt is the 3/1 favourite in the Sportsbook's Next Cabinet Minister to Quit market, although it's amusing to note that she's followed by Theresa May at 4/1. Michael Gove is 7/1, as he's already ruled out resigning, but he could yet have a change of heart. Labour enjoy poll bounce, but will it last? The disunity in the Conservative party has handed Labour a boost, according to new polls. ComRes give Jeremy Corbyn's party a four point lead over the Conservatives, while Opinium put the gap at three. On the Exchange, bettors aren't so sure that Labour are pulling away from the Tories and make the opposition [2.1] to win the most seats at the next election and [3.75] for a majority. Labour are unlikely to vote for May's deal but Brexit is by no means a straightforward matter for Corbyn. The PM knows this and her strategy is to get her deal before a Parliamentary vote, with the message that it's her Brexit or no deal. May hopes to put Labour in their own impossible position, as they cannot risk being seen to have caused Britain to have crashed out of the EU without a deal. Corbyn still hasn't completely ruled out backing a second Brexit referendum and the odds that happening before 2020 narrowed to [2.64] this week. He would, however, prefer a general election, which is [2.3] to happen before Brexit. Brexit Latest: Will Britain become 'an EU colony'?